These deer wedding invites feature watercolor deer and pine trees. The typography has a rustic watercolor style to it. The background is speckled to suggest snowflakes. There are 6 suggested color options available for this winter design. The back of the invitations are white. Additional options for the back include a solid color, pine trees on a white background, text and photos or photos only. Ice Mist – The background color is white. The typography, deer and pines are shades of deep gray. Frosted Almond – The background color is a muted shade of brown. The typography is white and the deer and pines are shades of deep gray. Icy Blue – The background color is a muted gray blue. The typography, deer and pines are shades of deep gray. Lavender – The background color is a soft lavender. The typography is white and the deer and pines are shades of deep gray. Mint – The background color is a soft mint. The typography, deer and pines are shades of deep gray. Velvet – The background color is a dusty pink. The typography is white and the deer and pines are shades of deep gray. Trim Options: rounded corners, waved, or classic frames. A white envelope is included. You can also choose from speckletone kraft or silver envelopes. Other options for the envelopes include: wrap around return address labels and envelope liners( gold, silver or matching gray speckled white pattern options). Your guest’s addresses can be printed directly onto the envelopes as well as your return address on the back flap. You can also purchase matching postage stamps. 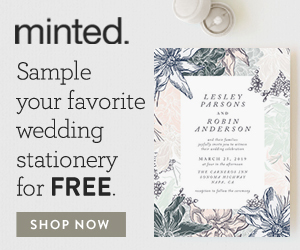 Thank you cards, place cards, table numbers, wedding programs, menus, favor tags, round favor stickers, RSVP cards, reception cards and directions cards. 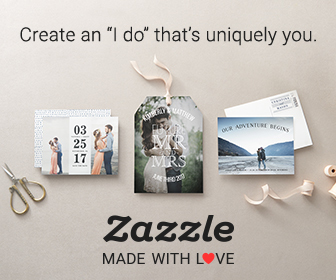 These sweet wedding invitations are versatile. They can be used for a rustic style wedding any time of year. They would also make perfect rustic Christmas wedding invitations. The Ice Mist color option tied with red or green jute twine or organza ribbon and paired with a kraft envelope would give these invitations both rustic and holiday elements.